Email drip campaigns can be simple or complex based on your goals as a marketer. They're a great way to nurture the leads you capture from your campaigns. If done right you can make them personal while still using an automated system. 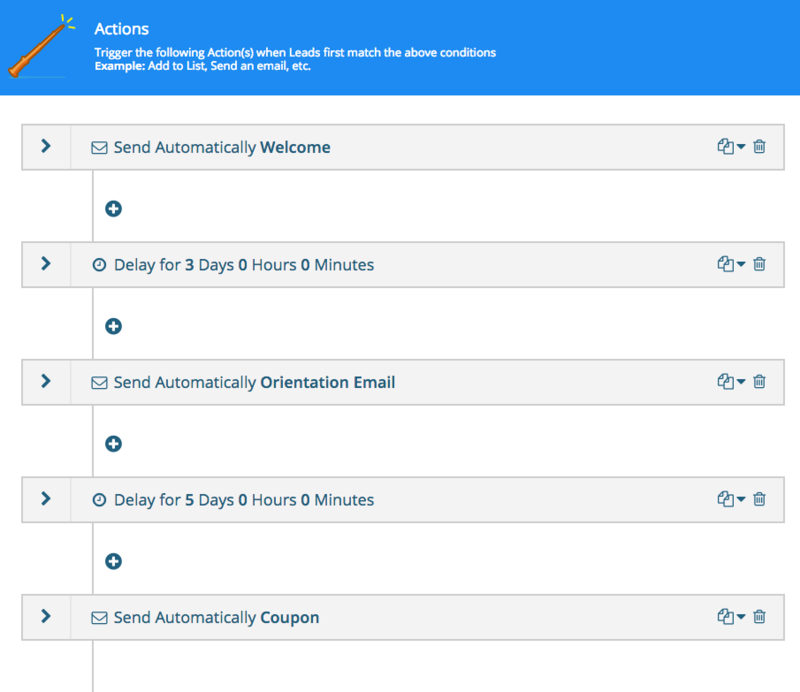 Wishpond's automation workflows allow you to choose conditions to trigger actions. You can choose from a number of conditions which makes targeting specific leads easy. Once you choose the conditions you can then set the action to send emails, with set delays. This is a great way to nurture leads as you can set up a campaign with multiple emails and delays. Easy ways to segment your leads is based on location, age, interest, or gender. This information can be gathered as lead properties in your account. Once you have this you can set up a workflow using these conditions. For example here we've used the condition of having the Geoip City of Vancouver. Now I can create an email drip campaign catered specific to leads from this city. Setting up the campaign you can include delays between emails to send multiple emails over a period of time. Leads who enter the workflow will now be included in this campaign, in which they would receive the three emails with delays between. Once you decide on the campaign also be sure to test your your email subject lines and formatting to determine the best response from recipients.